News: In June 1557 Edmund Allin, his wife and five others were burnt at the stake, where Drakes pub now stands in Fairmeadow, Maidstone, for refusing to accept Catholicism. Many thanks for posting the picture akuk and for the kind comments S4. Here's a picture which shows which ships were where at the Battle of Copenhagen. As you can see, HMS Polyphemus was in the ideal position to cover HMS Isis when that ship got into trouble. Here's a map showing the positions of the various ships in the fleet at Trafalgar. Although she was towards the rear of Collingwood's column, she was ahead of HMS Dreadnought (98 - sister ship to the Kent built ships HMS Temeraire and HMS Neptune) and HMS Swiftsure (74). Yet again you have nailed it Bilgerat. Nice one well done. I wonder if the HMS Polyphemus is represented in this print. It is by Fairburn of the Battle of Copenhagen and in the Sackville Family Collection (U.269) in the Archive at Kent History and Library Centre in Maidstone. This image is a detail and I assume there is a legend as the ships are numbered. I'll call it up next week when there, to see. HMS Polyphemus was a 64 gun third rate ship of the line of the Intrepid Class built at the Sheerness Royal Dockyard. The ship was the first in the Royal Navy to bear the name and was named for the Cyclops featured in Homer's Odyssey. At the time, the 64 gun ship was the smaller of two main types of third rate ship. Faster and more nimble than the larger and more powerful 74 gun ships, by the end of the 18th century, they were regarded by the Royal Navy as being too small and weak to stand in the line of battle and by 1810, most of them had been reduced to harbour duties, broken up or 'razeed' into large frigates. The Intrepid Class was a group of 15 64 gun ships of the line designed by Sir John Williams, Co-Surveyor of the Navy, of which eight were built in Kent shipyards. She was ordered from the Royal Dockyard at Sheerness on 1st December 1773. Built under the supervision of Henry Peake, Master Shipwright at Sheerness, she was laid down in January 1776 and was launched on 27th April 1782. On completion, HMS Polyphemus was 160' long at the upper gundeck, 44' 7" wide across the beam and weighed 1,408 tons at full load. She was armed with 26 24pdr long guns on the lower gundeck, 26 18pdr long guns on the upper gundeck, 10 9pdr long guns on the quarterdeck and 2 9pdr long guns on the forecastle. She was manned by a crew of 500 men. She was completed on 24th July 1782 having cost £37,218, 5s, 1d. HMS Diadem at sea at the Capture of the Cape of Good Hope by Thomas Whitcombe. HMS Polyphemus was identical. Commissioned in April 1782 under Capt William Finch, the ship joined the Channel Fleet under Admiral Lord Howe. By this time, the American War of Independence was in it's final stages. The war on the American mainland had been lost with the surrender of General Lord Cornwallis and his army at Yorktown and only a victory by Vice-Admirals George Rodney and Samuel Hood at the Battle of the Saintes in the same month the ship was commissioned had saved the British from losing control of the Caribbean as well. At this time, Gibraltar was under continuous siege by the Spanish and it was only the actions of the Royal Navy in forcing through a series of convoys which kept the colony from falling. In October 1782, HMS Polyphemus joined a fleet of 34 other ships of the line under Admiral Lord Howe in order to force another such convoy through. By a stroke of luck, a storm had forced the Franco-Spanish fleet blockading Gibraltar into the Mediterranean and the convoy got through to relieve the seige on 17th October. The escorting fleet was also pushed into the Mediterranean by the same storm and the two fleets sighted each other on 20th October off Cape Spartel in modern day Morocco. The British fleet, outgunned and outnumbered by the enemy, were under orders to avoid an engagement. The enemy, however, were between the British and the open Atlantic. 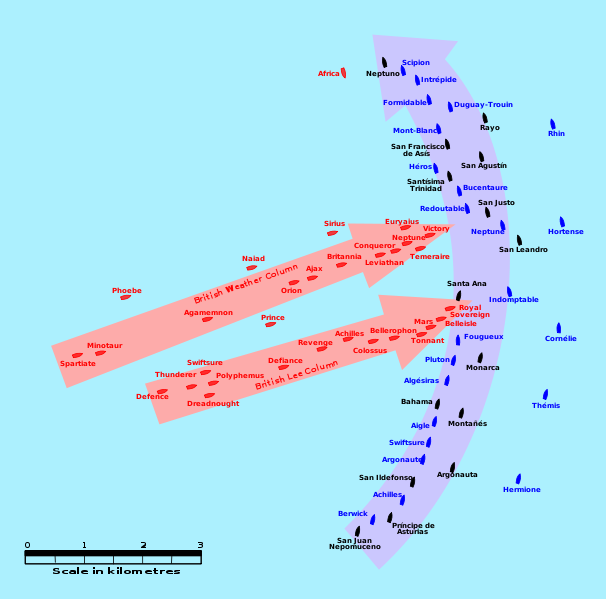 Both fleets formed lines of battle and the enemy opened fire at 17:45. The British returned fire, but by virtue of their superior speed (gained by their coppered hulls) managed to overhaul and pull away from the enemy without sustaining damage. This was a good thing too, as the enemy fleet contained no less than seven ships mounting 100 or more guns including the largest ship in the world, the 140 gun, four-decker Santissima Trinidad. The British fleet on the other hand, only had two ships mounting 100 or more guns, including Howe's flagship, the Chatham-built HMS Victory. The other was HMS Britannia. The Battle of Cape Spartel was inconclusive in itself, the British had already achieved their aim of getting the convoy through. In September 1783, the war was ended when the Treaty of Paris was signed. Hostilities had already largely ended by then and HMS Polyphemus having sailed to the Caribbean in December 1782, returned home in June 1783 and paid off at Chatham. Between December 1783 and September 1784, the ship underwent a minor repair at Chatham before being placed in the Ordinary at Chatham. This meant that the ship had all her guns, stores and masts removed and a large roof built over her upper decks. Manned by a skeleton crew, the ship would have been left moored in the Medway or in St Mary's Creek. The American War of Independence had left France bankrupt with nothing to show for it and the ensuing hardship suffered by the French people was the major cause of the French Revolution in 1789. Initially supported by the British, things changed after King Louis XVI was executed in January 1793. France declared war on Britain on 1st February that year. The Royal Navy needed to mobilise in a hurry and HMS Polyphemus was refitted for sea service between December 1793 and June 1794. Once again, the ship was assigned to the Channel Fleet and was commanded by Captain George Lumsdaine. He was to remain in command until August 1800. The war spread rapidly any by 1795, Britain was at war against France, Spain and Holland. By October 1795, HMS Polyphemus was operating off Ireland and on 22nd, she fought and captured the Dutch 64 gun ship Overijssel. In 1796, the ship became Flagship, Irish Station, based in Queenstown (modern day Cobh) with Vice-Admiral Robert Kingsmill flying his flag in her. Between May and June 1796, she underwent a short refit at Plymouth. In December 1796, she captured the 14 gun French privateer schooner Deux Amis off the Irish coast, in company with HMS Apollo (38). On 5th January 1797, HMS Polyphemus captured the French 38 gun frigate Tartu, also off Ireland. Between June and August 1797, the ship underwent repairs and maintenance at Plymouth and then continued in her role as Flagship, Irish Station until she was ordered to Chatham in November 1799. She underwent a refit at Chatham between November 1799 and March 1800 and recommissioned under Captain John Lawford. She joined a fleet under the command of Admiral Sir Hyde Parker sent to neutralise the Danish fleet and fortifications at Copenhagen as part of the campaign to break up the League of Armed Neutrality set up by Tzar Paul of Russia. This also included the fleets of Russia and Sweden and when combined, would mean the British would face an additional enemy with up to 123 ships of the line in addition to the combined fleets of Spain, France and Holland. HMS Polyphemus joined the attack squadron commanded by Nelson, flying his flag in the 74 gun 3rd rate HMS Elephant. The Danish fleet consisted of 24 ships of the line, anchored off the fortifications of Copenhagen and Nelson and his force of 12 ships of the line were required to neutralise these before troops could be landed to assault the fortifications. In the morning of the 2nd April 1801, Nelson's force made its way slowly up the Skaw, but suffered losses when first, the 64 gun ship HMS Agamemnon, then the 74 gun ships HMS Bellona and HMS Russell ran aground. Battle was joined at 10:05 when the Danish shore batteries opened fire. HMS Polyphemus was forced to come to the aid of the 50 gun 4th rate ship HMS Isis when that ship was badly damaged by fire from the Danish 56 gun ship Provesteenen. HMS Isis was saved when first the British 36 gun frigate HMS Desiree then Polyphemus raked the Danish ship, putting her out of action. At 16:00, a ceasefire was negotiated. The Danes had suffered heavy losses. The Danish flagship had blown up, killing 250 men. In all, it is estimated that Danish losses were about 1800 men killed, captured or wounded. The British losses came to about 250 men. 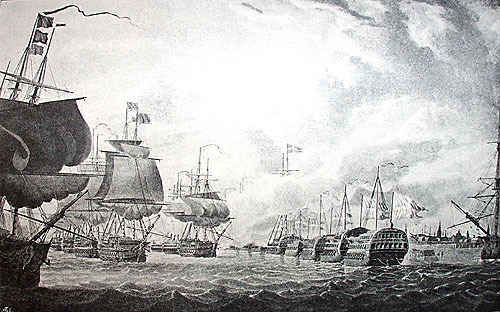 The Danish fleet had been beaten into submission and the day after the battle, the Danes surrendered. After the Battle of Copenhagen, HMS Polyphemus was assigned to the force blockading the Dutch navy off Texel, until she paid off into the Ordinary at Chatham in April 1802 as part of the drawdown of the fleet following the end of the war with the Treaty of Amiens. The peace was not to last long and HMS Polyphemus was refitted for sea again between March and July 1804 following the outbreak of war again in May of 1803. In July 1804, the ship again recommissioned into the Channel Fleet, commanded by Capt Robert Redmill. 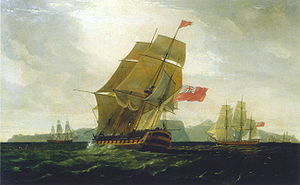 While cruising off Cape St Mary, Portugal, she captured the 26 gun Spanish frigate Santa Gertrudis on 7th December 1804. By the autumn of 1805 Britain was in the grip of an invasion scare and with good reason. Napoleon Bonaparte commanded an army which was encamped around Boulogne preparing for the planned invasion and Pierre-Charles Villeneuve had broken out with a fleet of powerful French ships-of-the-line. Villeneuve's original plan to put into Brest and join up with the fleet there had been thwarted by his defeat at the Battle of Cape Finisterre by Sir Robert Calder and he had been forced to sail south to Cadiz and join the Spanish fleet there. HMS Polyphemus was part of the fleet commanded by Vice-Admiral Cuthbert Collingwood which had Villeneuve and the combined Franco-Spanish fleet bottled up there. Vice-Admiral Horatio, Lord Nelson had been ordered to hand-pick a fleet and join Collingwood off Cadiz and take overall command of the force. Once his fleet was assembled, Nelson spent the next few weeks preparing to meet the Combined Fleet. He quickly formulated a battle plan whereby the British fleet would be split in two, with one column led by Nelson in HMS Victory and the other by Collingwood in HMS Royal Sovereign. 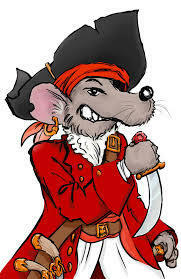 The plan was that the most powerful ships in the fleet would head up the colums. There are very good reasons for this. Firstly, all the captains knew that the lead ships would be the most exposed to fire from the enemy and the biggest ships were better placed to absorb the punishment. Secondly, the initial contact had to be so devastating to the enemy as to demoralise them and the three-decker first and second rate ships could best achieve this. HMS Polyphemus was assigned to the Lee Column under Collingwood and as the smallest ship of the line in that column, she was given a place in the rear. By the time HMS Polyphemus engaged, the worst of the fighting was over, but nevertheless, she engaged the French 80 gun ship Neptune and the 74 gun ship Achille. Captain Redmill accepted the surrender of the Spanish 80 gun ship Argonauta which by the end of the Battle of Trafalgar had suffered 100 dead and 200 wounded. HMS Polyphemus' losses were 2 killed with 4 wounded. After Trafalgar, HMS Polyphemus was assigned to the Channel Fleet under Admiral John Jervis, Lord St Vincent and whilst on that station, her boats and members of her crew were ordered to join an attack on a convoy in the Gironde Estuary with the intention of cutting out the merchant ships and the warships escorting them. On July 15th 1806, the attack started but was thwarted when a strong wind blew up and forced the enemy convoy up the river. Nevertheless, they succeeded in taking the French 18 gun brig-sloop Cesar. In September 1806, Captain Redmill was replaced in command by Captain Joseph Masefield, who only remained in command for a month before he was replaced, first by Captain John Broughton and then by Captain Peter Heywood. He remained in command until May 1808, when he was replaced by Captain William Cumby. Cumby had come to fame when he took command of the 74 gun ship HMS Bellerophon when that ship's captain had been killed in action early on in the Battle of Trafalgar and had commanded the ship through the worst of the action. Under Captain Cumby, the ship sailed for Jamaica following a refit at Portsmouth between January and February 1808. The ship remained in the Caribbean until November 1812 when she returned to Chatham and paid off. The 64 gun third rate was by now regarded by the Royal Navy as obsolete and too small and weak to stand in the line of battle. Between March and September 1813, HMS Polyphemus was converted to a powder hulk. This involved stripping the ship of everything, building a roof over the upper decks and cutting holes in the ships side at the Orlop level and fitting them with windows. The ship remained in that role, moored off Upnor Castle until she was taken into Chatham Dockyard on 15th September 1827 and was broken up.